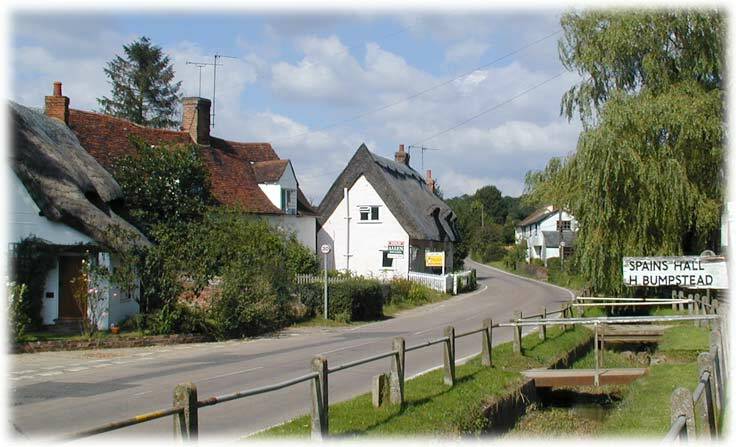 If we turn onto the B1057 just by the bridge we come to a part of the village known as Duck End. Here the hunt can be seen setting off presumably having gathered outside the Fox as seen on an earlier page. Date unknown. 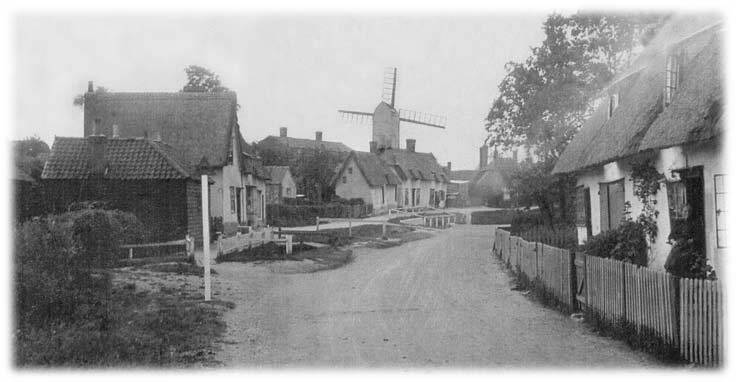 We'll soon be passing the windmill which features on the next page. 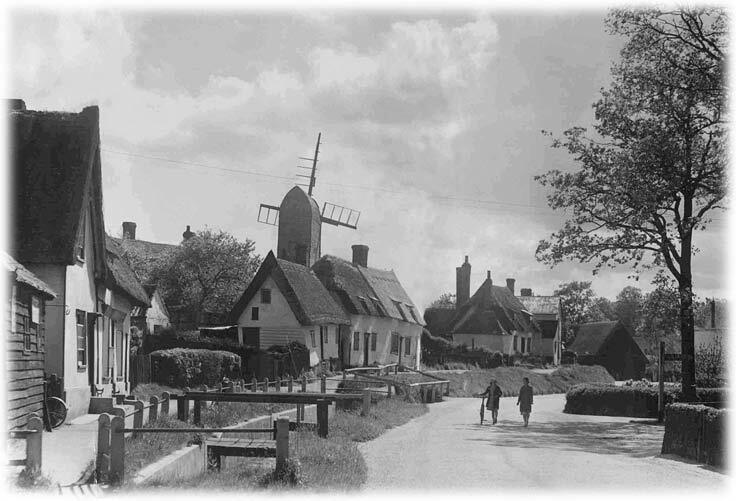 A couple of snaps from the family album taken about 1928 and showing the windmill in a rather dilapidated condition. The album records the people as George and Julia Digby, Maria Frost and John Digby. 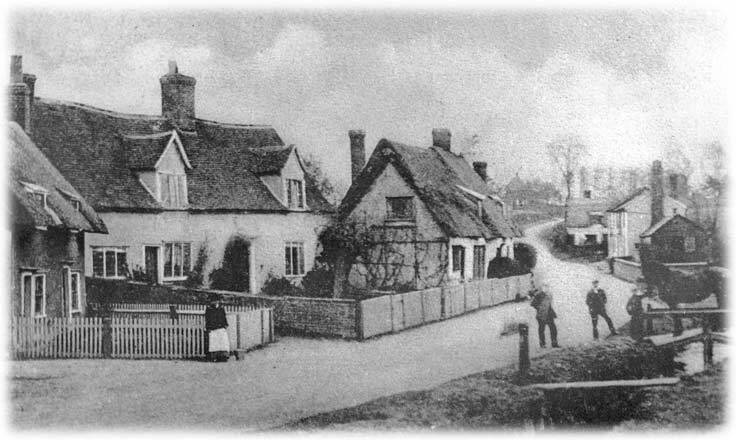 Further down the road and nearing the edge of the village this photo probably dates from the early years of the twentieth century. 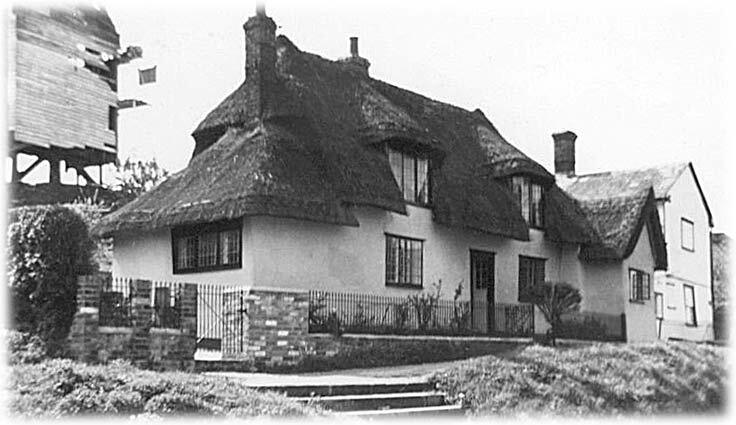 The last cottage on the right of the road no longer exists. Taken from virtually the same spot as the previous shot, this one dates from 2002. 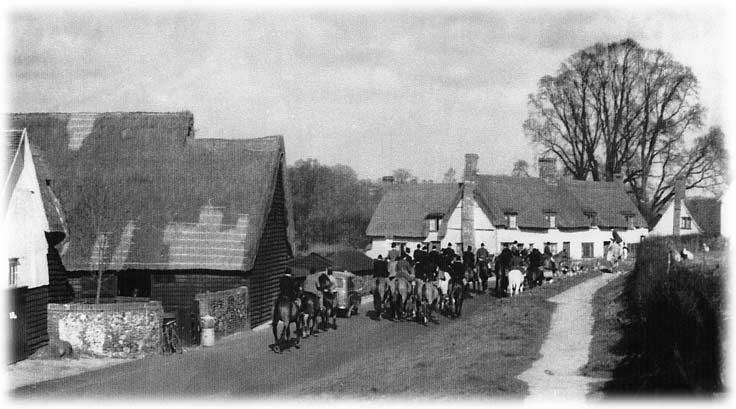 Turning around and heading back into the village, date unknown. And a similar view, the mill yet to be restored, late 1980s. Anita Watson sent this photo from Kansas. Wethersfield airbase, close to the village, brought many Americans to stay for a while. 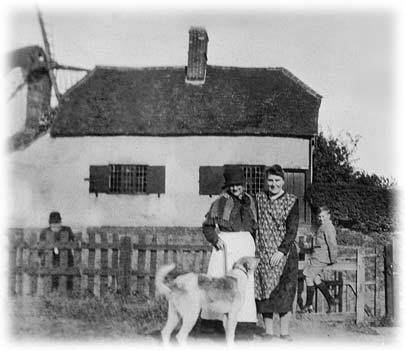 Anita spent four years living in the Old Mill Cottage, just in front of the mill, in the late 1950s, though this photo was taken earlier than that. Again, we are looking towards the centre of the village. 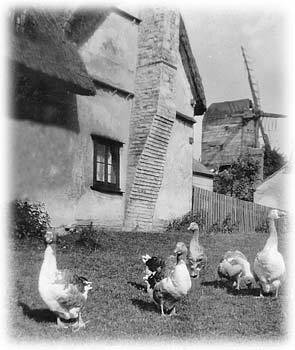 And here is Anita's own photo of Old Mill Cottage, taken in 1958. 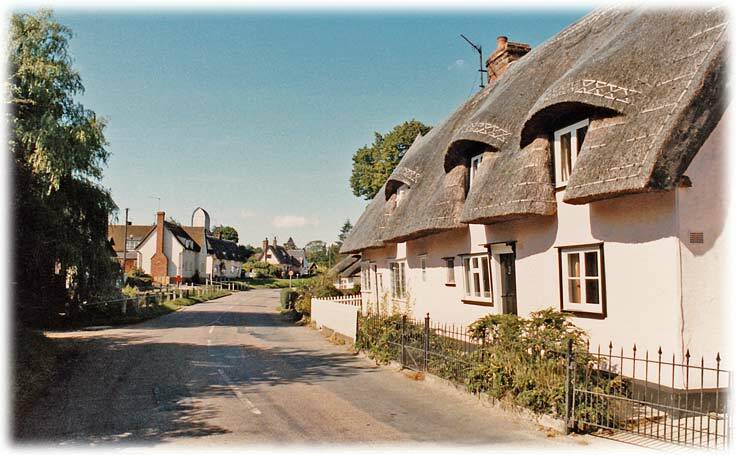 She recalls that the the cottage was re-thatched during her time in the village, and that the mill itself underwent restoration.